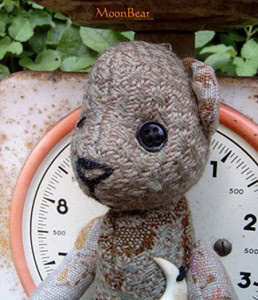 Please join me in welcoming another Guest Blogger to the Quilting Gallery. If you’re interested in being a Guest Blogger, just drop me an email to discuss. 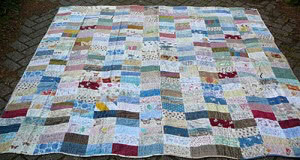 Hello Michele and all quilters around the world, my name is Fleur and I live in the Netherlands. As a child I was always busy with all kind of crafts, busy with animals, the nature, and caring for animals, and well … I still am doing this all. We live near a huge forest, with lots of wild animals. They all give me many inspirations, many rest and peace. Before the quilting bug bit me, I was always busy with knitting, spinning wool from the sheep, and from the hairs of the dogs, horses and cats and made lovely sweaters, coats from this wool, as well as all kind of doll and bear clothes. I was also busy crocheting (I made so many blankets for the dogs and cats, and always embroidered their names and a heart on these blankets), I enjoy to embroider, I love making all kind of wreaths and so much more from moss, branches, leafs and more from nature. I liked sewing clothes. And riding my horses, as well under the saddle as with a carriage. Mom was quilting. But I thought I was too busy for that and said to my Mom, (just as Dad said), why are you cutting all these lovely fabrics into these tiny pieces and than sew it all back together again! But Mom knew me …. So, she made lovely quilts and more and one day when I came to visit her, she just made a lovely small patchwork purse, and this purse she layed on the kitchentable. While entering the house, I would see that immediately. Well … Mom knew me so well … I loved the purse … and wanted to sew this myself and yes … since that time I am “hooked”. Mom and me have been quilting together for so many years. We have been visiting many nice fabric shops, we were always on the look for fabrics and enjoyed these trips very much. I still see us both sitting in a restaurant, after these “haunts”, with coffee and pie, looking at the just bought fabrics and talking about our ideas what to sew from it. We really enjoyed this all; golden memories. Mom was over 90 years old and still very busy and was just on her way to start the quilting of a lovely blue star quilt. And than Mom suddenly passed away. 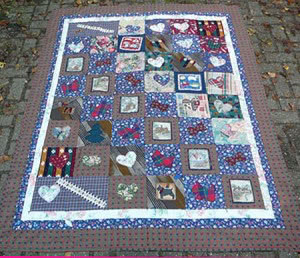 Without Mom and our quilting together I feel a little “lonely”. But am grateful for all the good, very good, memories I have. I sure realize that. Mom wanted me to write a book, together with a quilt, and I will try to do so. I started it, but it still gives me lots of tears, so it will take some time to finish this. Right now I started to sew a small basket quilt, the blocks are 2,9″ and I want to make more than 400 baskets with all kind of scraps in plaids and stripes, and in red, blue and earth colours. Every wednesday you can see the progress of this quilt on my web-log. (I write this part of my blog as well in Dutch as in English). In the autumn I will start the quilting of my quilt “Stairway to heaven”. 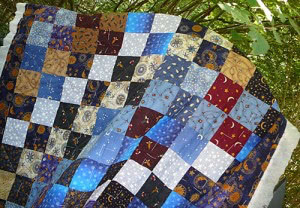 Will enclose a photo of this quilt with all kinds of fabrics with moons, stars, the sun and birds on it. And many quilts also have a notebook with it. My diaryquilt, my 365 quilt, I made about 7 years ago even had 2 notebooks. In these notebooks I wrote all I also had written as my diary on the fabrics, but I wrote lots more in it and added clippings as well and more. 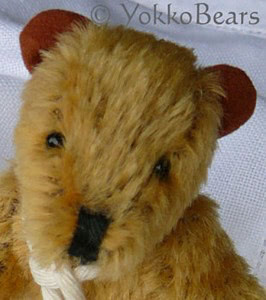 Besides the quilting, I am a Bear Artist (I design OOAK Bears = 0ne of a kind Bears) and I am a Bear Doctor (I restore old bears and mohair / plush animals). I also take care of lots of animals and many animals find their way to our home, when they need help. I love gardening, and we have a huge garden, so this takes some time too, as you can imagine. As well as my household, my job (in the hospital; the vet has to be paid); my days flie away. Be welcome to visit my website (also in English) and my web-log, to see the photos and to read some more, to read all. If you have any questions, ask them through my web-log or send me a pm. At the end of this year I want to start a kind of mystery on my web-log. A patchwork / stitchery / embroidery mystery. This will take several months. Keep in touch and watch my little space on the Internet highway :-). Wow, that’s so inspiring! It is great to read mini biographies of crafty/artisan folk. I’m so lucky to have such a dear friend like Fleur. 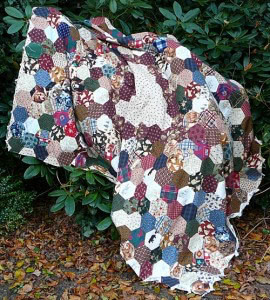 Her quilts and bears are warm and beautiful, and I love them very much! As you probably know, I follow your web-log for a while now. I simply love your bears! I have respect for all the help you give to the animals, brought to you. Keep up the good work! Fleur, how nice to be able to read all the little web-logstories in one great story here. 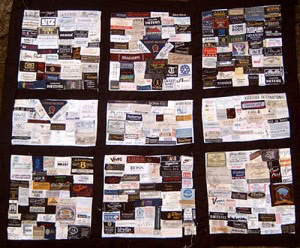 Everything I read of you comes together now and I am also very glad to see several beautiful quilts on the pics. You are so very special with all your loving care for animals and people. Thank for everything you share with us readers. 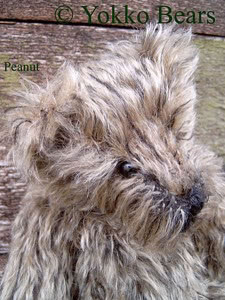 Hello Fleur, I love your quilts and bears. They look great. Thank you for this story about you. Ik baal hiervan je bent een hollandse waarom alles op jou site in het engels,ik kom hier zeker niet meer terug. @ Halyma; thank you for your kind words. @ Supergoof; at this moment I have no words …. .
@ Willeke; I do my best. I’ve just been to the vet again with two stray cats. And at this moment there is a small cat in the forest that needs our help. 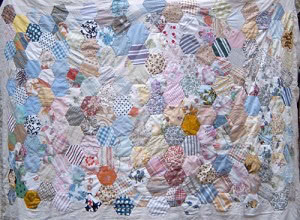 And Michele did a great job by showing my quilts and bears in this way. @ Willy; thanks for coming by. @ Margriet; als “gast” schreef ik op deze site van Michele. Deze site heeft als voertaal engels en wordt over de hele wereld gelezen. Zodoende mijn verhaal in het engels. ( Margriet thought that this site was mine and really did not like it that the story was written in english. that a lot of quilters around the world come by and that english is the medium). @ Michele; thank you again Michele. @ All readers; thanks for coming by. You’re very welcome. It was a pleasure to have you featured on my site.